Organizations no longer limit the use of Mac computers, especially with the popularity of BYOD when it comes to the computer. A good solution should have support for PC, Mac and even smartphones if possible. Smartphones, especially Android phones can be a vector for a work into a network. The days of installing a server within your organization to centrally manage antivirus clients are long gone. Any modern system should have be centrally managed from the cloud. The clients on each PC should communicate directly for both status and definition updates. Malware, Trojans and Zombies are just some of the latest threats to networks. While certain threats cant be detected initially, some like zombies have behavior which can be detected when in operation. 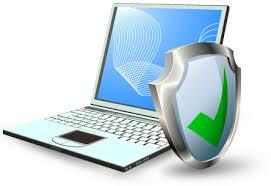 Centrally managed antivirus solutions should be able to notify and act on any threat. If a trojan or ransomware attack is detected, all file shares should be automatically disabled. Wherever possible look for as many of these features as possible. You can then make your decision based on how much you prioritize some features over others.